Access to Cn (n>4) symmetric cyclic concave molecules with a different function on each of their n subunits is an unmet challenge. The reason lies in the lack of a post-functionalization method whose site-selectivity is sufficiently understood, predictable and modulable to access most functionalization patterns. 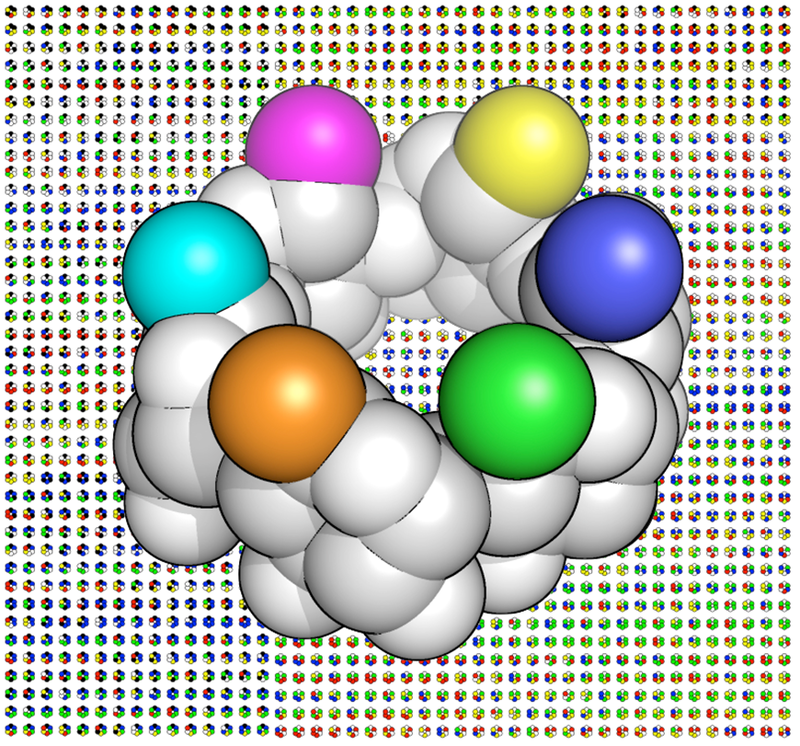 The GOBS team has disclosed, in this article, a new site-directing rule for a debenzylation reaction on cyclodextrins that solves this problem and allows the unprecedented access to penta- and ultimately hexa-differentiations of such C6 concave cycles, demonstrating a selectivity of 1 out of the 7826 possible patterns. This achievement opens the access to objects with very high-density information.